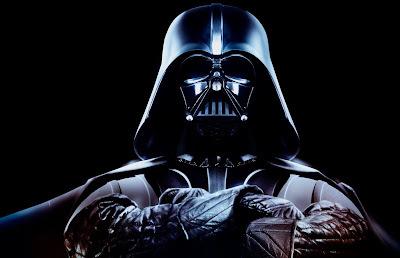 Long has the war raged between fans as to who would win the battle royale between Darth Vader and Doctor Doom. Well today the reality of such a brawl became one step closer to possibility, as the Walt Disney Company acquired LucasFilm for $4.05 billion in cash and stocks, bringing that t-shirt you've always wanted with Jar Jar, the Spider-Man clone and Tigger on it also into the realms of possibility. Obviously owning animation kings Pixar, as well as recent fellow acquisition Marvel, Disney is primed to bring Star Wars to new generations, in multiple platforms and arenas, kind of how I guess they would've had their recent big-budget flick John Carter taken flight as a sequel-able cosmic franchise. 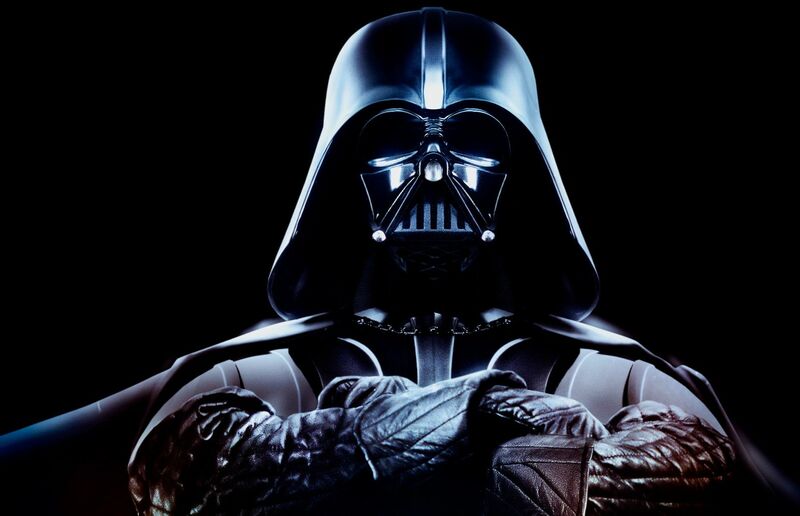 Buying arguably the biggest such kid on the block outright, Disney has already announced three more Star Wars movies are in the works, with George Lucas having already written the treatments for each. The first Lucas says in the vid below, will be in theatres by 2015 - showing perhaps more than Marvel Studios, a new focus in the House of Mouse. 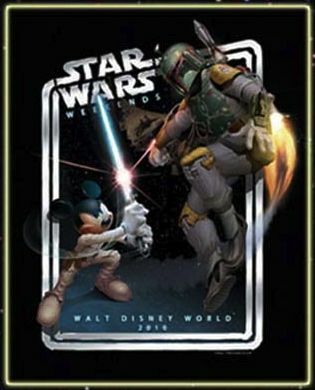 The sell to Disney is the logical and obvious choice for the franchise,not to mention the only choice. No one else is out there. I think Legacy is the future of the Star Wars verse going forward. It's a fresh look at the same thing for a new and old audience. Cade, Syn and Blue can be everything any Star Wars fan could want. It's Luke, Leia and Han for the new school. Like the Marvel bid OA, I think there will be talk of which side the votes are falling on for the next few days, but right at the start you do state a pretty big point.... and I can imagine running one franchise as massive as Star Wars, with such dedicated fans is a huge pull on a company of the LucasFilm size. Still will be interesting to see where too from here. I just hope Dark Horse is treated fairly. Those guys have put out some of the best Star Wars work ever through their comic book line, esp John Ostrander's work (but there is nothing new there). Hopefully this stands them in good stead, for whatever the future will bring! I think this will be glorious, and I can't understand the people who are worried. The House of Mouse can't possibly screw up the franchise more than Lucas himself has with the prequels now can they? No they cannot. So I am so looking forward to Episodes 7, 8 & 9! Bring it on Disney, I prefer a straight sequel to all these friggin' cartoons!! I said much the same thing, Pensol, except for looking forward to the new episodes. I'll hold my optimism on that until I see footage. But I'm not as doom and gloom about it as all my friends are. Lucas screwed it up. Disney, actually, makes some decent movies. So long as they don't shove an ewok in my face every ten minutes, it'll be an improvement. Thanks Pensol and Random! I know a massive SW fan yesterday who was literally in tears over it, dreading what was ahead. Me, I'm a fan of the old school and like Pensol, haven't watched any of the cartoons, just a few books and comics. While I knew other tales existed, I just felt Star Wars needed more of a shot in the arm, something to get it cohesive again, and into all the areas a franchise needs to be, successfully, and professionally on a scale Star Wars demands. When you factor in who is out there who can do this, like OA says, Disney are one of the rare few left standing, and lets be honest - they haven't really screwed Marvel yet, despite similar fears to that, so place me in the excited camp too. My friend just pointed out that we might actually get an HD release of the original cut of the original trilogy. Fingers crossed. I hadn't thought of that. Now thats the stuff! Call me crazy (or dont incase it hurrs my feelings) but I always get miffed Lando's Cloud City doesn't look how it does externally in my memory. All I wanna see is some Admiral Thrawn up on my screen in IMAX! Dear god I swear if Disney brings the Zahn books to the big screen I will do the midnight showing like I did so long ago fr the abominable Episode 1. I would love to watch the original movies in HD! My brother would too! he is the major sw fan atthe family. I'm quite confident Disney will do a good job. I'd love to see Thrawn almost as much as I want to see Mara Jade. Unfortunately, I doubt we'll see that. The original cast is just too old. It would be cool to see a Chiss though. I love that species. They don't have to use the original cast, just get new actors. It worked for Abram's Star Trek, it will work for Star Wars. You are right there Pensol - imagine the que of guys who would line up to play Han Solo! Probably a billion times the length of the que to play Wicket!